How to make complicated look beautiful. 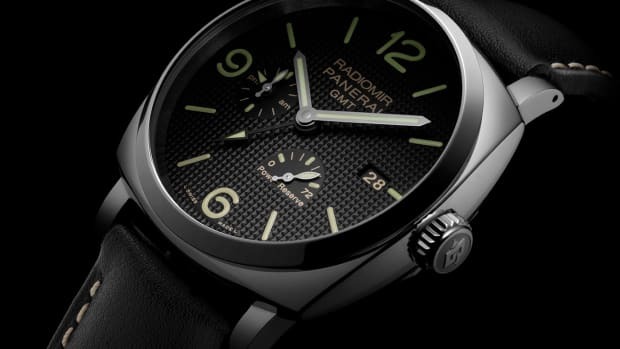 Panerai&apos;s Luminor 1950 EOT 8 Days GMT is anything but simple. 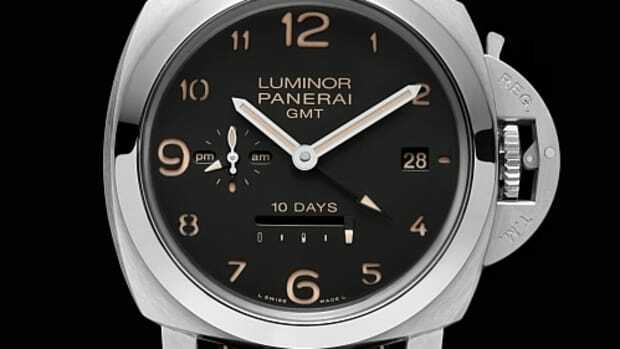 The watch not only features a dedicated GMT hand, but you also get AM/PM indication, date and month, and even an Equation of Time that lets you see the difference between solar time and and man-made mean time. 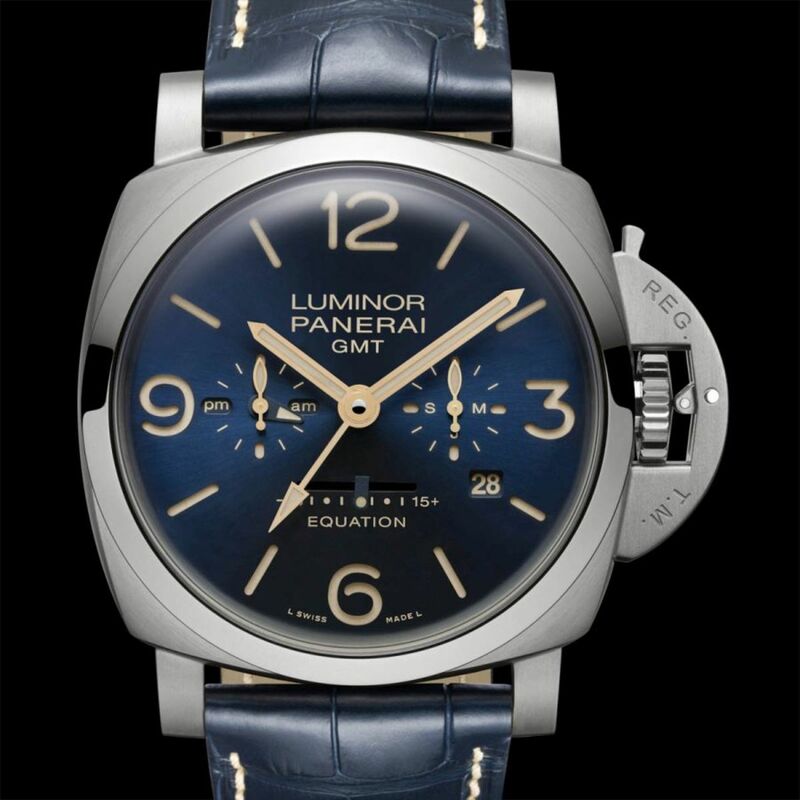 This is all backed by their in-house P.2002/E movement that has a power reserve of 8 Days (192 hours). 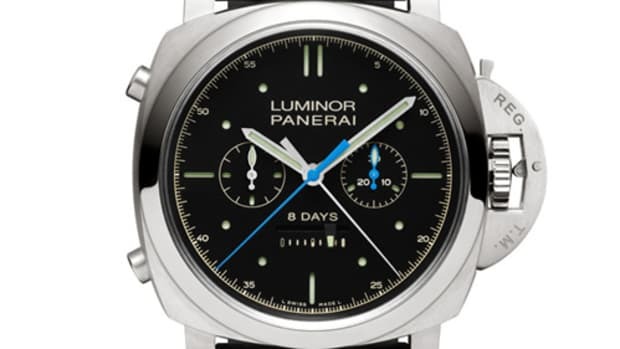 The case is sized at 47mm and is constructed out of lightweight titanium and the dial is available in both blue or brown.